Rig-Tig by Stelton is committed to the goal, to bring together design and sustainability. 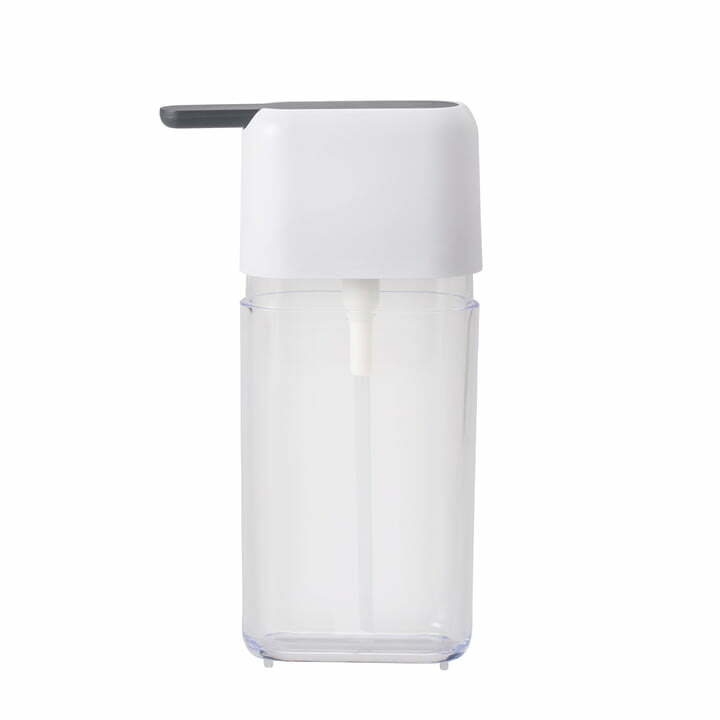 So why buy new Soap dispensers, each time the soap dispenser is empty? With this idea in mind the designer Troels Seidenfaden designed a Soap dispenser for Rig-Tig, which can be re-filled again and again. This way you have one piece of plastic rubbish less and thus it protects the environment. However, that is not the only thing that distinguishes the soap dispenser Sink Caddy by Rig-Tig: the dispenser has an extra large pump handle that can also be operated with the back of the hand. In this way, soap comes in your hand without putting dirt from your fingers on the soap dispenser. Also, the soap dispenser fits perfectly in the sink caddy dishwashing box and complements the sink caddy dishwashing brush .